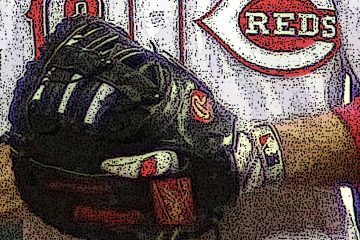 The Reds recalled IF/OF Brandon Dixon who was hitting .326/.371/.527/.899 at AAA Louisville. The 26 year old utility man lead the Bats with 12 2B, 14 RBI, 8 SB, and 38 SO. Dixon is very versatile as he can play 1B/2B/3B/LF/RF and provides good RH power from the bench. The Reds have also recalled RH RP Tanner Rainey, 2.04 ERA, who has tossed 17.2 IP allowing 6 H and 11 BB with 31 SO. The 25 year old has an amazing 15.8 SO/9 as well as a horrible 5.6 BB/9. He’s filling in the bullpen until either Raisel Iglesias or Austin Brice return from the 10 Day DL. Now let’s see what else is going on down on the farm. The Bats had a 14 – 28 record and in 4th out of 4 in the International League West. International League hitters are hitting .248/.320/.382/.702. IF/OF Rossell Herrera, .306/.368/.597/.964, returns to Bats from the Reds where he was just 2 for 13 in his stay there. The 25 year old utility man will work on getting his stroke back with some regular playing time. 2B Dilson Herrera .293/.349/.466/.815 in 63 PA, has continued to hit well since his promotion to the AAA Louisville Bats from the A+ Daytona Tortugas where he was hitting .298/.359/.429/.787 in 92 PA. The 24 year old has been playing regularly at 2B all season demonstrating that his repaired shoulder is now sound. 2B/3B Nick Senzel, .271/.351/.459/.809, has been placed on the DL with vertigo and is out at the Reds camp in Arizona participating in baseball activities. The 23 year old has played 13 G at 2B and 8 G at 3B so far this year. IF/OF Josh VanMeter, .258/.378/.419/.798 in 37 PA, has continued to hit at AAA after his promotion from AA where he was hitting .284/.420/.421/.841 in 121 PA. The 23 year old has 6 BB and 6 SO in 37 PA at AAA after having 23 BB and 19 SO in 121 PA at AA. 1B/OF Steve Selsky, .237/.330/.430/.760, leads the team lead with 5 HR. 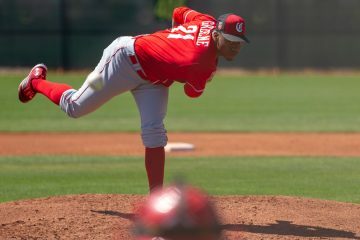 The 28 year old is back for his second stint with the Reds organization. OF Phil Ervin, .250/.368/.375/.743 in 19 PA, hitting well at AAA since rejoining the Bats. The 25 year old has played all across the OF since returning to Louisville. International League pitchers have a 3.77 ERA. RH SP Bob Stephenson, 3.89 ERA, has tossed 41.2 IP allowing 32 H and 25 BB with 47 SO. The 25 year old leads the team with 47 SO and 25 BB. LH SP Justin Nicolino, 4.33 ERA, has thrown 43.2 IP allowing 50 H and 14 BB with 26 SO. The 26 year old has allowed 10.3 H/9. LH SP Cody Reed, 4.45 ERA, has thrown 28.1 IP allowing 27 H and 15 BB with 24 SO . The 25 year old has a poor 1.48 WHIP at AAA. LH SP Brandon Finnegan, 4.50 ERA in 3 GS, has thrown 14 IP allowing 18 H and 8 BB with 13 SO . The 25 year old has a terrible 1.86 WHIP at AAA. RH RP Kevin Quackenbush, 0.00 ERA, has tossed 11.2 IP allowing 4 H and 1 BB with 11 SO. The 29 year old has recorded 4 SV. LH RP Kyle Crockett, 3.15 ERA, has tossed 20 IP allowing 19 H and 4 BB with 16 SO. The 26 year old has a good 1.15 WHIP. Southern League hitters are hitting .250/.329/.388/.716. 2B Shed Long, .294/.361/.490/.851, leads the team with 3 3B and 6 SB. The 22 year old LH hitter is also tied for 3rd on the club with 5 HR. OF/1B Brian O’Grady, .227/.340/.432/.771 has 15 BB in 106 PA. The 26 year old LH hitter has always provided a high walk rate and good power. RF Aristides Aquino .231/.281/.429/.711, leads the team with 7 HR. The 24 year old slugger also leads the club with 10 2B. Southern League pitchers have a 3.85 ERA. RH SP Keury Mella, 2.25 ERA, has thrown 48 IP allowing 39 H and 12 BB with 46 SO. The 24 year old has a very good 1.06 WHIP. RH SP Daniel Wright, 4.63 ERA, has thrown 46.2 IP allowing 47 H and 7 BB with 37 SO. The 27 year has an impressive 1.4 BB/9. RH RP Robinson Leyer, 3.43 ERA, has tossed 21 IP allowing 18 H and 10 BB with 28 SO. The 25 year old has recorded 1 S.
The Tortugas had a 26 – 18 record and are 1st out of 6 in the Florida State League North. Florida State League hitters are hitting .251/.322/.365/.687. OF Taylor Trammell .303/.413/.483/.896, has played 20 G in CF, 13 G in LF and 7 G in RF. The 20 year old is tied for the club lead with 5 HR and 3 3B. OF T.J. Friedl, .304/.416/.449/.865, leads the team with 27 BB and 7 SB. The 22 year old LH hitter has played 27 G in LF and 15 G in CF. C Tyler Stephenson, .297/.383/.455/.838, has played 32 G at C and has appeared in 7 G as the teams DH. The 21 year old is tied for 2nd on the team with 9 2B. 1B Ibandel Isabel .250/.337/.488/.825, is tied for the club lead with 5 HR . The 23 year old has played 13 G at 1B and 11 G as the DH. 3B Mitch Nay, .281/.331/.456/.788, is tied for the club lead with 5 HR. The 24 year old also leads the team with 11 2B, and 32 RBI. SS/2B Calten Daal, .333/.333/.400/.733 in 15 PA, has returned to action for the first time since hitting .310/.365/.379/.744 in 127 PA at AA in 2016. The 24 year old has played 2 G at SS and 2 G at 2B thus far for the Totugas this season. 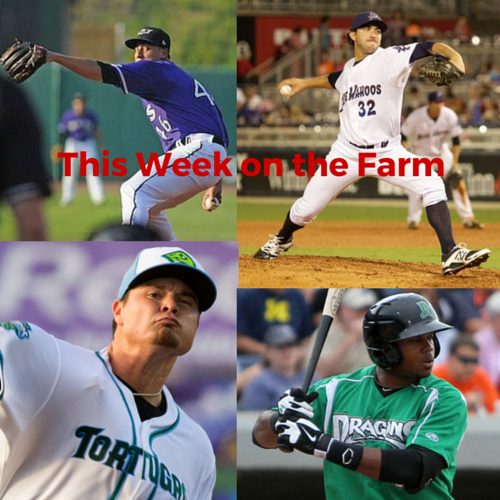 CF Jose Siri, .245/.255/.367/.622 in 51 PA, has cooled off after a hot start for the A+ Daytona Tortugas. The 22 year old RH hitter has 1 BB and 16 SO in 51 PA.
Florida State League pitchers have a 3.71 ERA. RH SP Tony Santillan, 2.44 ERA, has thrown 51.2 IP allowing 47 H and 12 BB with 44 SO. The 21 year old has allowed only 3 HR and leads the club with 44 SO. LH SP Wennington Romero, 3.00 ERA, has tossed 48 IP allowing 39 H and 7 BB with 28 SO. The 20 year old leads the starters with a 0.96 WHIP. RH SP Ryan Olson, 3.89 ERA, has tossed 44 IP allowing 46 H and 13 BB with 40 SO. The 23 year old is 2nd on the club with 40 SO. RH RP Ryan Hendrix, 1.74 ERA, has thrown 20.2 IP allowing 15 H and 12 BB with 30 SO. The 23 year has a very good 13.1 SO/9. RH RP Jesse Stallings, 1.93 ERA, has thrown 14 IP allowing 10 H and 2 BB with 11 SO. The 23 year has 3 S.
LH RP Kevin Canelon, 2.70 ERA, has thrown 20 IP allowing 12 H and 3 BB with 26 SO. The 24 year has a very good 0.75 WHIP. Midwest League hitters are hitting .250/.332/.373/.705. C Hendrik Clementina, .348/.435/.739/1.174, leads the club with 9 HR. The 21 year old has played 18 G at C and 9 G at DH and is simply tearing the cover off the ball right now. RF Michael Beltre .322/.426/.441/.866, is tied for the club lead with 22 BB. The 22 year old switch hitter has 22 BB and 27 SO in 143 PA.
OF Stuart Fairchild, .295/.399/.443/.842, , is tied for the club lead with 22 BB and tied for 2nd on the club with 13 SB. The 22 year old has played 18 G in CF, 17 G in LF, and 4 G in RF. 2B/SS Jeter Downs, .279/.354/.459/.813, has played 24 G at 2B and 15 G at SS this season. The 19 year old middle infielder leads the team with 14 SB and is 2nd on the team with 6 HR. OF Andy Sugilio, .313/.333/.469/.802 in 33 PA, was just recently activated from the DL. The 21 year old has played 2 G in CF and 3 G in RF. IF John Sansone, .268/.331/.455/.786, has played 3B, 2B, 1B, and DH for the Dragons this season. The 24 year old is 3rd on the team with 4 HR. Midwest League pitchers have a 4.01 ERA. LH SP Packy Naughton, 4.80 ERA, has thrown 50.2 IP allowing 52 H and 13 BB with 44 SO. The 22 year old leads the team with 44 SO. RH SP Andrew Jordan, 1.80 ERA in 2 GS, has thrown 10 IP allowing 10 H and 3 BB with 9 SO. The 20 year old has just joined the team and had a 4.66 ERA in 131.1 IP with the Dragons last season. RH SP Hunter Greene, 10.06 ERA, has thrown 17 IP allowing 30 H and 10 BB with 26 SO. The 18 year old phenom has a ugly 2.35 WHIP. RH RP Cory Thompson, 1.52 ERA, has tossed 23.2 IP allowing 21 H and 3 BB with 21 SO. The 23 year old has 2 S.
RH RP John Ghyzel, 1.80 ERA, has tossed 15 IP allowing 11 H and 8 BB with 22 SO. The 22 year old has also recorded 7 S for the Dragons. RH RP Ryan Nutof, 2.08 ERA, has tossed 26 IP allowing 24 H and 10 BB with 37 SO. The 22 year old has a 12.8 SO/9. Nice wrap up as usual. It would be nice to take a beach trip to Daytona and catch a few of the Tortugas games. Looks like a few of them could be promoted to Pensaola about the time of the FSL all-star game in 3-4 weeks. Trammell, Friedl, TStephenson, Nay and Santillan look poised for a jump. At AAA it looks like RStephenson and Dilson Herrera have played themselves into promotions soon up to the Reds. Thanks Tom. I love these reports. Thanks Tom. I’m getting excited about Trammell as he seems to be taking A+ by storm. Greene seems to have improved his bb% from last time even though his WHIP as you say is ugly.